With the forming of new teams with new coaches, new parents, and new athletes, how do your put your team on a successful path? It starts with having a philosophy where everyone is in tune with the mission and goals of the organization or team. Program leadership needs to identify what are the main objectives of your organization and what is the commitment level that needs to be made by coaches, parents, and athletes to achieve those objectives based on the competitive level you choose. Having a philosophy for wanting to win and playing time needs to be made clear up front and everyone needs to understand it. As a coach how do you answer these question? Are you playing to win every game by playing the best players every game? Are you splitting up playing time for every player get to have equal playing time? Will playing time be split up according to playing abilities and roles? Meaning some kids will play every game and others will play in certain situations, mostly as a back up or to contribute a specific skill or strength. In todays world, most of the problems, disharmony, and or drama is being caused by parents being unhappy with coaching decisions about playing time. It is usually because my kid doesn’t get to play enough or she doesn’t get to play the position she wants. Or parents are unhappy when a coach plays kids that are not the most talented and the team doesn’t win as a result of it. Differing opinions on what the team should be trying to achieve causes the ill will. It is impossible to make everybody happy, especially when every parent has a differing opinion on what the end result should be for their child or for the team. For some parents playing time is number one, for others winning is number one, for others it is getting seen by college coaches to get a scholarship. Coaches take time to identify, communicate, and outline your philosophy and expectations. Make sure the parents and athletes understand what the commitment level needs to be to achieve the goals you have and what your intentions are for playing time. Communicate your philosophies and be consistent in how you implement them. Parents make sure you are joining a team where you agree with the philosophies of the coach. You have no right to complain if you don’t find a coach who you are in tune with from the start. When new teams are formed, initially parents are almost always on board so when does it all go bad? Everything is usually sunshine and rainbows until games start and playing time is distributed. That is when things go south either because a coach doesn’t do what they say they are gong to do or because parents have differing views of who should be playing. People get unhappy with coaching decisions and start to complain. That is when the disharmony starts and teams fall apart. The sad truth is that most parents do not understand the commitment level that needs to be made for a softball player to excel at the game, especially if they want to play in college. 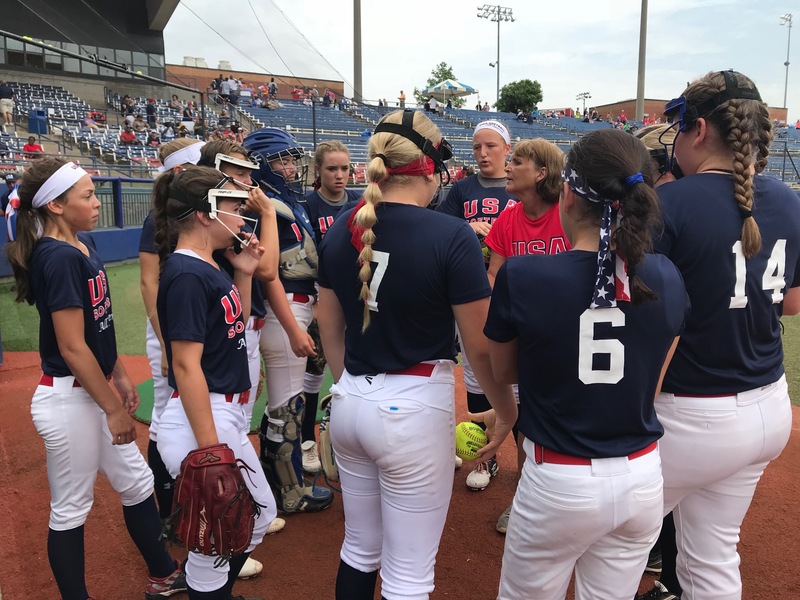 If an athlete is not getting the playing time they want, the first question a parent should be addressing is how hard is your daughter working to improve her skills? Is she working on her speed, quickness, strength, and softball skills outside of one day a week practices? Playing in games is not necessarily going to improve your skill set. That takes working three, four, five days a week on the specific thing you want to improve. It takes repetition on a daily basis. 1. Identify and share your philosophy based on the level you plan to compete at, your emphasis on winning , and how you plan to distribute playing time. 2. Develop an operating code for communication between coaches and parents. 3. Communicate your expectations for commitment to the team including attendance, out of practice work, and team practices and games. 4. Identify roles for each player and communicate what they can do to improve their role. Make each kid feel that they are contributing and have value to the team. 5. Have team building activities where players communicate about what they want to accomplish and how the team can grow and get better. 6. Make sure you are putting your kid on a team with a coach you feel aligned with philosophically. 7. Support all of the kids in the program, not just your own child. 8. Don’t complain about coaching decisions to your athlete or other parents. Speak to the coach privately or have your kid talk to the coach about what they need to do to improve their playing opportunities. 9. Work with your child to improve her softball skill level and her athleticism. 10. Understand what your role is and continue to work to improve your skills. 11. Support your teammates and be happy for their success. 12. Respectfully ask questions of the coaching staff if you don’t understand something. 13. Be willing to work outside of practice to get better. 14. Believe and trust in yourself, your teammates, and your coaches.